கோளங்களூடன் கூர்ந்த கவனிப்புடன் வாசம் செய்கிரார். புன ச பரங், பிக்காவெ பிக்கு தம்மேஸு தம்மானுபஸ்ஸி விஹாரதி, சஸு அஜ்ஜத்திக-பாஹிரெஸு ஆயதனேஸு. கதங் ச பன, பிக்காவெ பிக்கு தம்மேஸு தம்மானுபஸ்ஸி விஹாரதி, சஸு அஜ்ஜத்திக-பாஹிரெஸு ஆயதனேஸு? இத, பிக்காவெ பிக்கு சக்குங் ச பஜானதி, ரூபெ சக்குங் ச பஜானதி, யங் ச தத்.துபயங் பத்திச்ச உப்பஜ்ஜதி சம்யொஜனங் தங் ச பஜானதி, யத ச அன்.உப்பன்னஸ்ஸ ஸம்யொஜனஸ்ஸ உப்பாத்தொ ஹோதி தங் ச பஜானதி, யத ச உப்பன்னஸ்ஸ ஸம்யொஜனஸ்ஸ உப்பாத்தொ ஹோதி தங் ச பஜானதி, யத ச பஹினஸ்ஸ ஸம்யொஜனஸ்ஸ ஆயதிங் அன்.னுபாதொ ஹோதி தங் ச பஜானதி. ஸொதங் ச பஜானதி, ஸத்தெ ச பஜானதி, ச பஜானதி, யங் ச தத்.துபயங் பத்திச்ச உப்பஜ்ஜதி சம்யொஜனங் தங் ச பஜானதி, யத ச உப்பன்னஸ்ஸ ஸம்யொஜனஸ்ஸ உப்பாத்தொ ஹோதி தங் ச பஜானதி, யத ச பஹினஸ்ஸ ஸம்யொஜனஸ்ஸ ஆயதிங் அன்.னுபாதொ ஹோதி தங் ச பஜானதி. பஹினஸ்ஸ ஸம்யொஜனஸ்ஸ ஆயதிங் அன்.னுபாதொ ஹோதி தங் ச பஜானதி. இதி அஜ்ஜதங் வ தம்மேஸு தம்மானுபஸ்ஸி விஹாரதி, பஹித்தா வ தம்மேஸு தம்மானுபஸ்ஸி விஹாரதி, அஜ்ஜத-பஹித்தா வ தம்மேஸு தம்மானுபஸ்ஸி விஹாரதி; ஸமுதய-தம்மானுபஸ்ஸி வ தம்மேஸு விஹாரதி, ‘அதி தம்மா’தி வ பன்’னஸ்ஸ ஸதி பச்சுபச்சித்தா ஹோதி, யாவ தேவ ஞான.மத்தாய பத்திஸத்தி.மத்தாய. அனிஸிதொ ச விஹாரதி, ந ச கின்சி லோகெ உபாதியத்தி. ஏவங் பி கொ, பிக்காவெ பிக்கு தம்மேஸு தம்மானுபஸ்ஸி விஹாரதி, சஸு அஜ்ஜத்திக-பாஹிரெஸு ஆயதனேஸு. 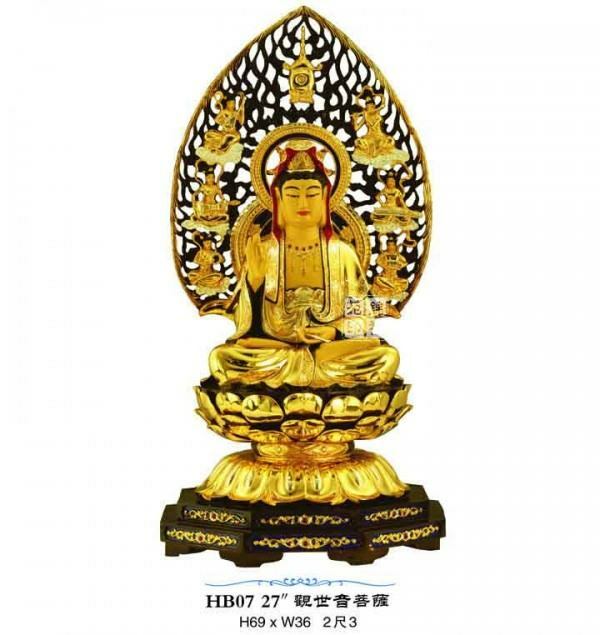 Here, bhikkhus, a bhikkhu understands cakkhu( and (cakkhum)The eye; insight, perception; supernatural insight or knowledge), he understands rūpa(Form, figure, shape; image, representation; the body; in gram. a verbal or nominal form; beauty; natural state; characteristic), he understands the saṃyojana(Bond, attachment) which arises owing to these two, he understands how the unarisen saṃyojana(Bond, attachment) comes to arise, he understands how the arisen saṃyojana(Bond, attachment) is abandoned, and he understands how the abandoned saṃyojana(Bond, attachment) does not come to arise in the future. He understands sota(The ear or organ of hearing), he understands sadda(Making a noise), he understands the saṃyojana(Bond, attachment) which arises owing to these two, he understands how the unarisen saṃyojana(Bond, attachment) comes to arise, he understands how the arisen saṃyojana(Bond, attachment) is abandoned, and he understands how the abandoned saṃyojana(Bond, attachment) does not come to arise in the future. always occupied at Sāvatthi. ), he understands the saṃyojana(Bond, attachment) which arises owing to these two, he understands how the unarisen saṃyojana(Bond, attachment) comes to arise, he understands how the arisen saṃyojana(Bond, attachment) is abandoned, and he understands how the abandoned saṃyojana(Bond, attachment) does not come to arise in the future. He understands jivha(The tongue), he understands rasa(A cook), he understands the saṃyojana(Bond, attachment) which arises owing to these two, he understands how the unarisen saṃyojana(Bond, attachment) comes to arise, he understands how the arisen saṃyojana(Bond, attachment) is abandoned, and he understands how the abandoned saṃyojana(Bond, attachment) does not come to arise in the future. He understands kāya(Referring to the body), he understands phoṭṭhabba( A swelling, boil, tumour), he understands the saṃyojana(Bond, attachment) which arises owing to these two, he understands how the unarisen saṃyojana(Bond, attachment) comes to arise, he understands how the arisen saṃyojana(Bond, attachment) is abandoned, and he understands how the abandoned saṃyojana(Bond, attachment) does not come to arise in the future. 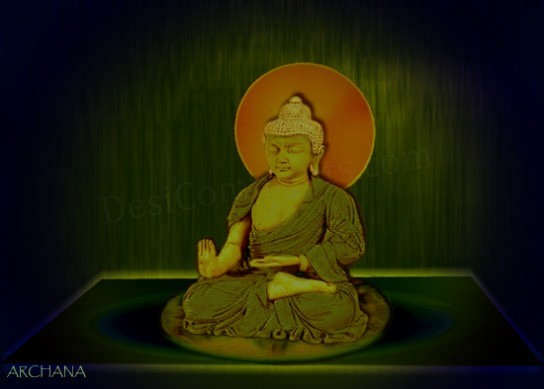 the Buddha; the Buddhist scriptures; religion) , he understands the saṃyojana(Bond, attachment) which arises owing to these two, he understands how the unarisen saṃyojana(Bond, attachment) comes to arise, he understands how the arisen saṃyojana(Bond, attachment) is abandoned, and he understands how the abandoned saṃyojana(Bond, attachment) does not come to arise in the future.